2 Box Cache Hunting Metal Detectors 916-225-9150 Big Valley Metal Detectors. Prospect like the folks on GOLD RUSH and DIGGERS. Open daily 9am-9pm by appt. 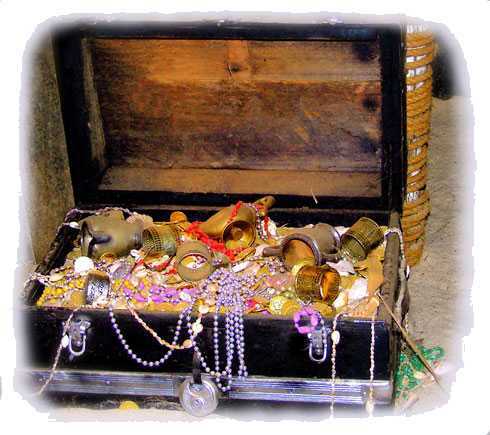 METAL DETECTORS & TREASURE HUNTING ACCESS. 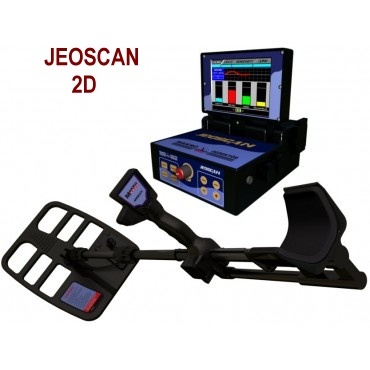 The Jeo System Series of Jeoscan 2D and Jeohunter 3D offer graphical imaging, deep seeking metal detection and are the prefered equipment used by thousands of treasure hunters around the word for locating treasures and cavities at extreme depths. 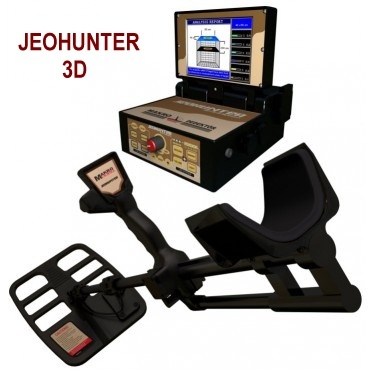 The JeoTech Deep Seeking Metal Detector Locates Both Individual Targets and Large Treasure Caches! 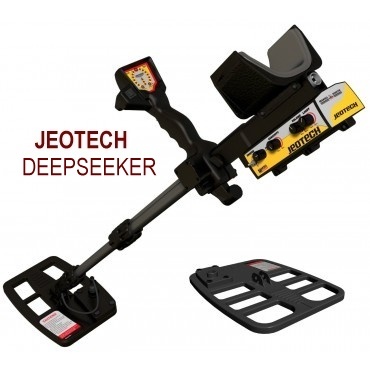 The Makro JeoTech is like two detectors in one, a deep two box detector and a traditional small object metal detector. 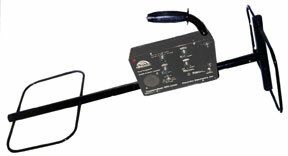 Since 1981 Discovery Electronics has manufactures this unique style patented locator for detecting large deeply buried objects. Patterned after the deep searching two box type system, the Treasure-Finder 900 Automatic VLF unit is the only one of the kind capable of maximum depths while ignoring the effects of ground minerals. Add to this a high frequency pipe and cable tracing attachment and you have a very versatile detection system. This unit can be used to locate large treasure caches, gold or silver bullion, large relics, septic tanks, old wells or tunnels, valve caps, manhole covers, and large mineral deposits such as black sand. TF-900 : 1- Exclsive Ground Reject Circuitry helps you get the deepest possible detection of caches and large relics even through mineralized soil that limit other two-box units. 2- All new dual frequency capability gives you the best cache hunting frequency of 12.5 Khz and the Best Pipe and Cable Trace Frequency of 73.5 Khz. 3- Thumb set Push Button, Factory set Nulling, and Autotune Features make this the easiest to use cache and cable locator available. You get smoother operation over changing ground minerals and easier pipe or cable tracing. 4- All Aluminum Construction and tough baked on powder coat finish make this a very rugged unit. 5- Accept No Substitutes , look for the only two-box style cache and cable locator protected by U.S. Patent 4348639 and CND Patent 1140213. * LED for battery check , * Handle-mounted push button for easy thumb-set control, * Ground reject VLF circuitry and ground reject control, * Factory reset electronic null circuitry, * Mode and battery check switch, * Tone adjustment control, * Built-in speaker and 1/4 inch headphone jack, * Snap-together all aluminum construction, * Two automatic tuning/pinpointing modes, * Durable baked-on powder coat finish, * Batteries: 6 cell AA size or you can also use a sing 9 v battery, * 20 to 40 hour battery life, * Weights only 6 pounds, * Dual frequency operating modes, * 12.5 Khz when used as cache locator. 73.5 Khz when used for cave mode, * US Patents: 4348639 and CND 1140213, * One year warranty. Fishers two box has a reputation for being the best. Goes deeper, & traces farther! 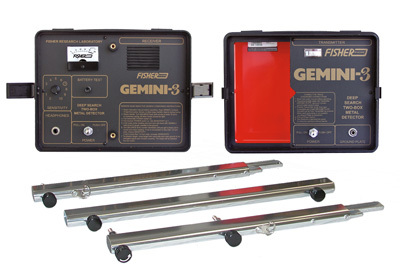 Two box treasure hunters know that Fisher's Gemini-3 has a reputation for being the best there is. Designed to locate deep objects; depending on ground mineralization and target size objects may be detected as deep as 20 feet! The Gemini-3 goes deeper, traces farther and is easier to use than any other cache finder in its class. • Detects all metals: Sensitive to large, deep objects or ore veins. • Crystal controlled: 82 KHz transmitter and receiver. • Trace and Narrow Scan Inductive Trace. • VCO audio target response for precision pinpointing. The ultimate deepseeking accessory - made exclusively for the Garrett GTI 2500.
made exclusively for the GTI 2500. 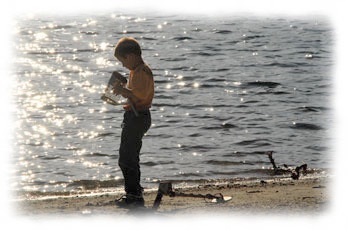 Located in Citrus Heights, California, we are an easy drive from Sacramento, Fair Oaks, Roseville, Rocklin, Orangevale, Folsom, Carmichael, Citrus Heights, Loomis, Woodland, Davis, Granite Bay, Cameron Park, El Dorado Hills, Elk Grove, Placerville, Auburn, Marysville, Dixon, Yuba City, Lodi, Stockton, Galt and many more places. Call for directions!